I found this on Digg today and it's somewhat amusing. 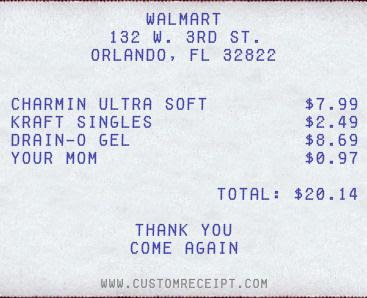 You can make your own receipt. I'm not sure what the purpose is but it kept me occupied for at least 2 minutes.